The Respect Song is a Character Education song that teaches respect in the classroom and at school. Respect Yourself, Respect Others, and Respect the School. This is a song for teaching and learning respect. 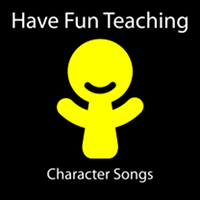 Description: Character Education song that teaches respect in the classroom and at school. Respect Yourself, Respect Others, and Respect the School. This is a song for learning respect. Also check out the Respect Online Training Course for Teachers from Have Fun Training.